Adorable sauce cup shaped like a penguin; the "beak" is a small spoon/spreader. 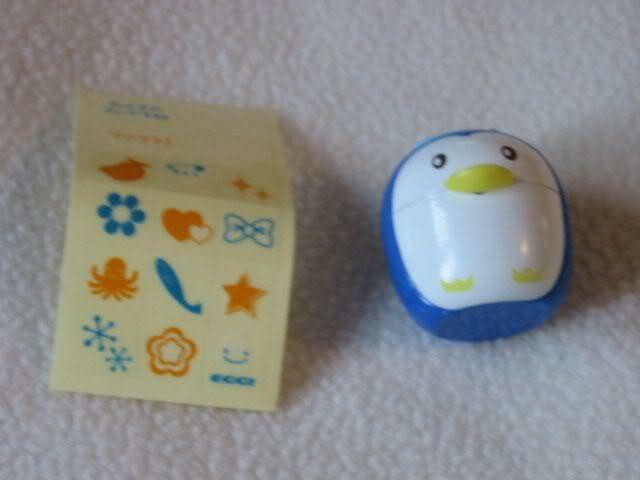 Also comes with stickers to personalize your penguin! Approximately 1/5" in height. I always combine shipping on multiple items. If an item is a gift, I would be happy to wrap it for you for a small extra charge (50 cents per item).